Happy Monday everyone! This weekend was beautiful in DC and I made sure to take advantage of the peeping sun. 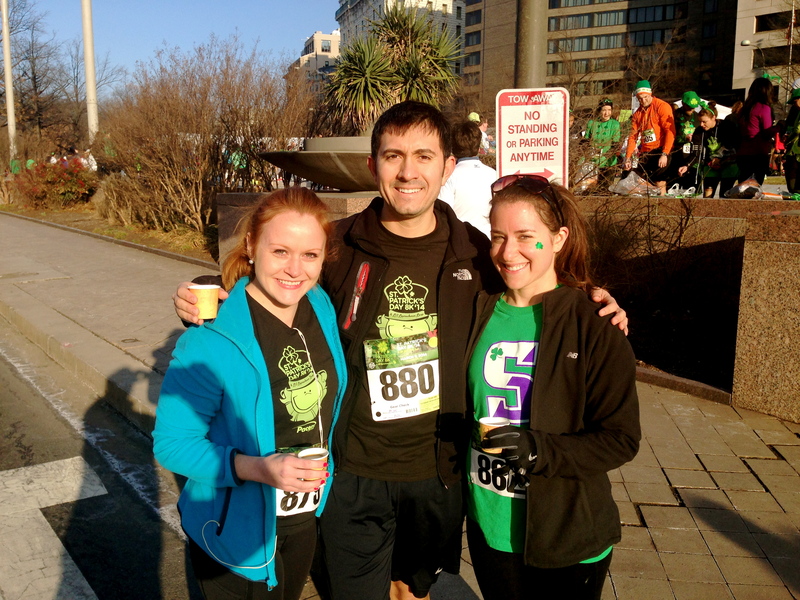 This Sunday some friends and I spent the morning outside running the St. Patty’s Day 8k. I love how active DC is and it had been a while since I’d taken advantage of running a local race. 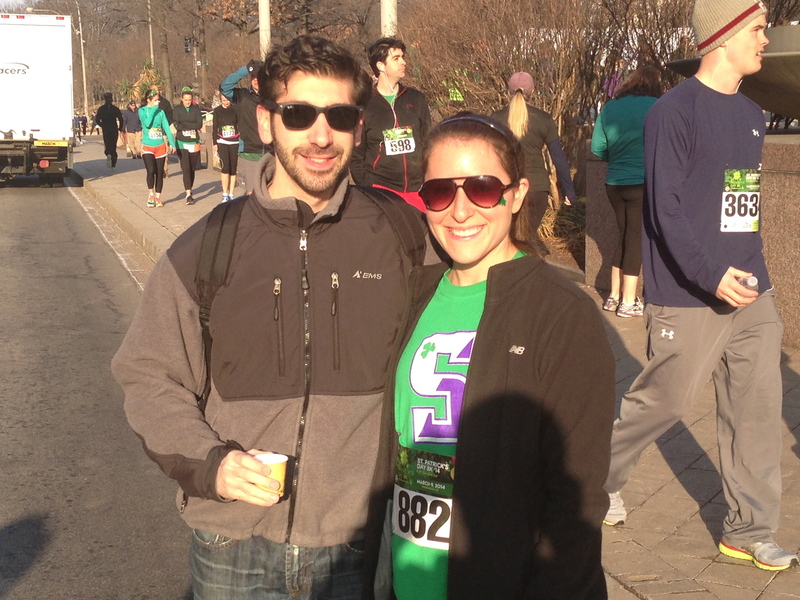 When friend Emilie mentioned she was running the St. Patty’s 8k it seemed like a perfect way to get back into it. Temps have been freezing here but we lucked out with a blue sky and fairly decent temperatures for a race. The sun was shining! (Hence my squinty eyes). Here we are with our game faces on. 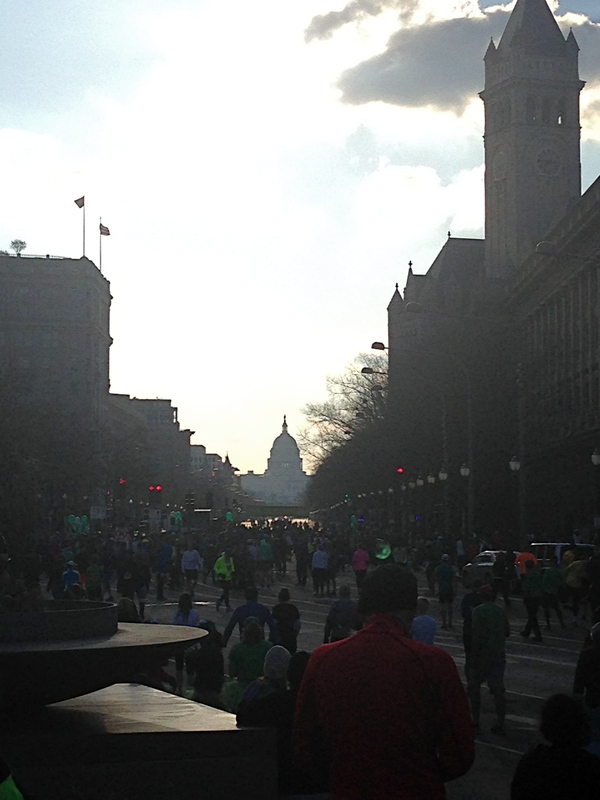 View of the Capitol from the start line! It was a sea of green as we made our way to the start line. This race was a flat and easy 5 miles making its way around the Capitol building and back to freedom plaza. I ran it in 2011 and finished at 50:09. My goal this time was to finish under 50 minutes since it had been a while since I ran a race but I surprised myself coming in at 43:18 with an 8:43 pace. Races always get me motivated! After the run it was time to refuel. 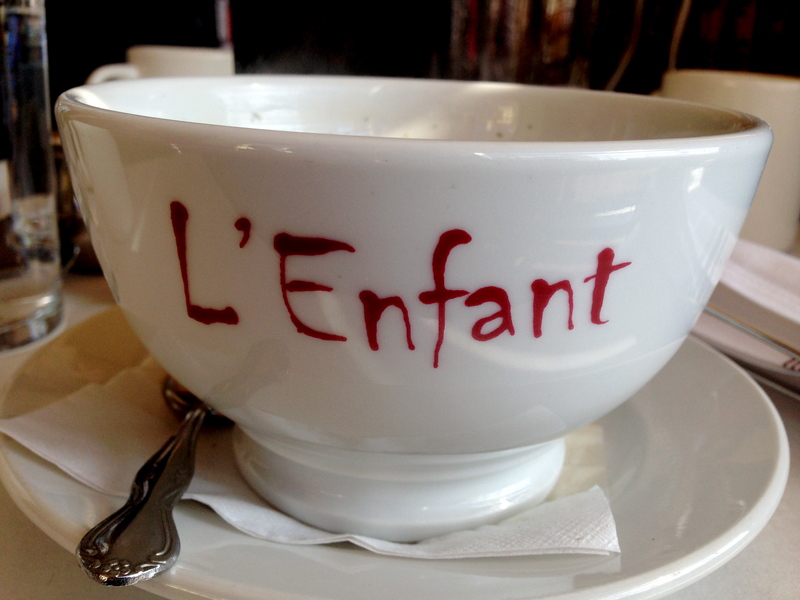 We brunched at L’Enfant, a cozy French restaurant in Adams Morgan. 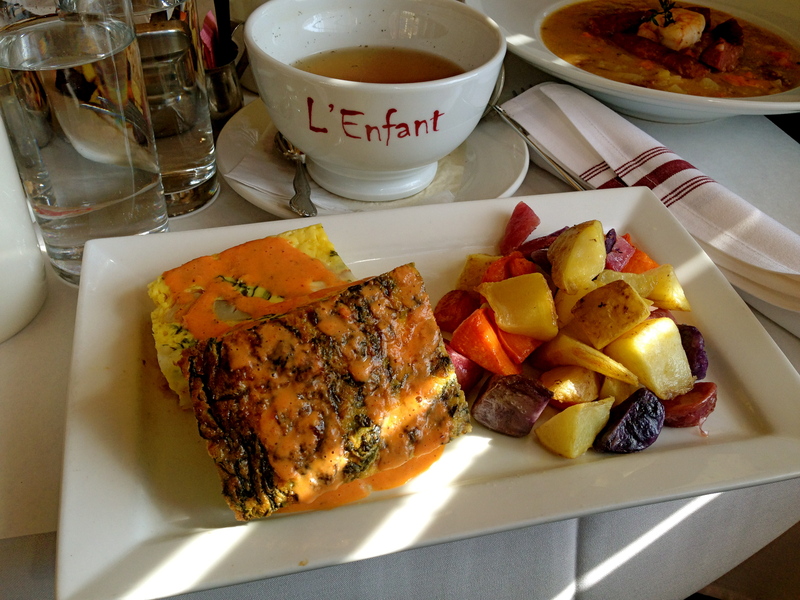 I got a delicious spinach and goat cheese Frittata with roasted potatoes. And a giant cup of tea. One of my favorites brunches yet! Time for the work week friends. Hope everyone had a great weekend! Wow!! Congrats on your great run! Pics are beautiful and brunch certainly well deserved !!! I never saw a vegetarian dish look that amazing. Thanks for sharing a great day.